On what I remember as a sunny day in late summer, I saw my brother Phil's wife Chrissie for the last time. Phil at the time was grossly underweight, having suffered a strange ailment that had been difficult to diagnose. I was worried about his health. Chrissie, on the other hand, was her normal robust, cheerful and in-command self. One person who has played a huge role in my life and will always be in my memories is my mother. Around three years ago, my beloved mum died of an aggressive form of cancer. No one realises how hard it is to lose someone as close as this until it actually happens to them. What made the whole experience worse was that I was only about twelve: she died shortly after her birthday and shortly before my anticipated thirteenth birthday. It may be hard for people to understand what I am saying here so just try to use your imagination. It was four years ago that my mum was diagnosed with cancer. The doctors said it was caught early and assured us everything would work out right. At first I did not think anything of it. “After chemotherapy for a few months, you’ll be fine”. Surely the doctors knew what they were saying, so I trusted them. However, my younger brother was worse for wear: he let the heavens open and streams of tears flowed down his face. He was only around ten years old. My dad seemed concerned and it felt that for a second everything around us fell apart. For an instant, we all thought that we wouldn’t have that mother figure there, but were reassured by the doctors. 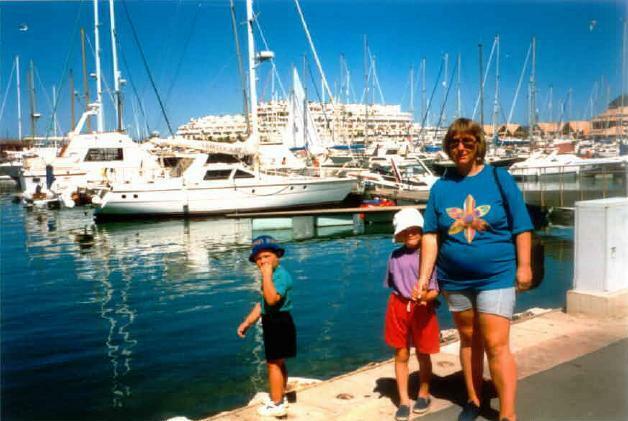 I became increasingly nervous to know what was to happen to my mum and to know if I’d have her there in the future. My mum began the monotonous journeys up to a London hospital for her regular chemotherapy sessions. These sessions were in a room with a doctor who stood behind a specially designed radioactive protection screen as chemotherapy is the act of using radiation to kill the infected cells and those around it. It is pinpointed onto the particular part in the body. The first cancer she developed was in the bowel. The treatment made her feel continuously nauseous and evidently affected our lives at home. Both parents began getting more and more stressed with additional arguments creeping into our daily routine. Following an agonising six months of treatment, the doctors were hopeful that they had neutralised the cancer. However, two months later, the doctors diagnosed similar cancer, but this time in her arms and legs. The cancer immobilised her as it slowly disintegrated the bones in her limbs. This, in turn, made her bed bound. She had to have a constant nurse and an ambulance to transport her on the trips to the hospital. The whole house just seemed depressed as you could all see the agony in her face and felt sorry for her. Not one smile broke out on my father’s, brother’s or my face in the time that she was at home. Gradually, we saw less and less of her until she was told she had to stay at the hospital indefinitely. This included having a birthday “celebration” in hospital. It is not really the best place for a party. I could see the despair on everyone’s faces through the brave smiles that were painted on, but was too naive to realise. I couldn’’t see that she was doomed to a life of bed rest and eventual death as I tucked into my McDonalds that my dad had bought for us both on the way to the hospital. After a few months in hospital, she was allowed home, but was still forced to stay in bed as she struggled to move in any way, due to the cancer infecting her legs and arms permanently. It seemed everyone knew she was going except my brother and me - or rather, my brother and I refused to believe she was going. My dad seemed close to breaking down himself. Mum asked my aunt to wish me happy birthday for her. Everyone could see her getting worse as she began to have difficulty speaking: the cancer brutally attacked her voice box which, in turn, led to her not being able to breathe from the cancer spreading to her lungs, resulting in her dying of suffocation. My brother and I returned home from school one day to see an entourage of cars parked on the outside drive and wondered quizzically what was going on. We went in the door and saw the look of despair on everyone’s faces. My dad gathered my brother and me in the kitchen which is next door to the room my mum’s bed was in, strategically poised so that she could watch the television. We all sat down at the dinner table and the nurse, with a grim expression, explained “I’m sorry, the cancer has developed too much and she is going to pass away. We are not sure how long she has left. It could be a matter of hours or a few days”. An endless stream of tears poured from Matthew’s face and also my father’s. We all looked at one another and just started crying, flinging ourselves into everyone else’s arms. My uncle stood there stony-faced, holding back his emotions. My brother and I then set off for the park because Matthew wanted to spend some time with his friends which gave him some comfort. We returned back up the hill and through the garage into the back garden to be confronted by our dad. He came out and said that she had gone. After she died, I was allowed time alone with her to say goodbye to my loved mum. I could not hold back the tears anymore. I had not cried before in an attempt to be strong for my family. For a while, I just sat there and stared intensely. I tried to shake her vigorously in a futile attempt to wake her but, of course, I failed. A tear slowly dripped down my cheek to fall as if in slow motion onto the bed on which she lay. I could not bear to look at her lifeless grey body. It made me too upset: the thought of never seeing her again was unbearable. My mum has been the most influential person in my life. I owe everything to her and I just wish she could still be here today to see how her “little boy” turned out. To lose someone as close as your mum is a very upsetting experience, as I found out. Life breaks down for a while and I lost the will to live without the love of mum and someone to hug every once in a while. However, I thought to myself, would she really want me to be upset? So, as the funeral came, I adopted a brave face once again whilst everyone around me cried. I continued to fight my emotions. We had a wake afterwards in honour of my mum’s life, the adults drinking to their hearts content, the children playing football and not fully understanding the situation unfolding around them. I learnt the lesson the hard way: don’t take anything for granted but show how much you love those close to you whilst you still can. There is no point to those little petty arguments so just say sorry and make up. You never know when it could be the last time you see them. My advice is: “Carpe Diem”, seize the day. Make every moment you have with your family and friends memorable. There is one particular memory that I keep of my mum which always makes me smile. It was a warm summer day and I was a lot younger. We had the best barbeques, courtesy of my dad. The sun shone and there wasn’t a cloud in the sky; it was like heaven. We had a paddling pool full of freezing water. The food was gorgeous- especially the sausages and the burgers- and then we had a water fight. My brother and I ran around soaking my mum and dad with water guns. Mum wanted revenge so she stood in the paddling pool and started to kick water at us all, sending tidal waves into the air directed at us. With one almighty kick, she soaked us but failed to maintain her balance. Time moved in slow motion as I watched her fall slowly backwards as if plummeting to earth from space. She landed flat on her back with a massive slap making the sound of that person who tries to dive in a swimming pool but fails and ends up landing stomach first, creating a spine-tingling slap. She was drenched from head to toe. There is always going to be one person in everyone’s lives who is influential and that person for me was my mum. She was always there for me and was always the person who would persuade me to do better in every aspect of my life. She is the reason that I keep going: I still want to make her proud. My advice is to make the memories you have great ones and, when it does happen to you, rejoice the time you spent with your loved one and move on. Don’t mourn over the loss and get yourself down. Remind yourself of the good things that happened. Spend whatever time you can with them, remarkable time. * Phil reports: "It is part of Steven's English GCSE course work. He had to write about a personal experience and, rather bravely, chose to write about his mother. I suppose that it is the single biggest event in his relatively short life.....I have shown it to a number of people and there is rarely a dry eye. Even his English teacher admitted to crying when she read it. He also had to read it out at Record of Achievement Day (similar to Speech Day that we used to endure) and I was handing out tissues to all around me."